FALSE BLUFF NICARAGUA: Why name a boat calala? In recognition of a really great drink. But for some of us there's the even better and more exotic drink made of the juice of the passion fruit, called calala in Nicaragua. 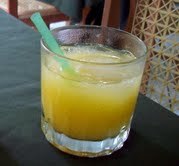 Pictured below is a freshly-made glass of the juice served in the Caribbean Dream Hotel restaurant in downtown Bluefields. Passiflora, the plant that produces the calala, grows almost everywhere: a cousin in New England has one species in her garden and another species grows wild in Virginia corn fields. Tennessee's state flower was the passion flower from 1919 until 1939 (and then they adopted the iris as the state flower if you can believe that). Many species have an edible fruit, including Virginia's wild rambler. Passion fruit is a rich source of antioxidants. In Nicaragua calala, whether growing wild or cultivated, can be the size of an elongated softball. 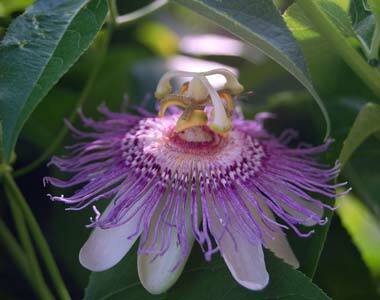 Flowers of the passiflora look like they grow in another world. Each species' flower is a bit different but just as alien. 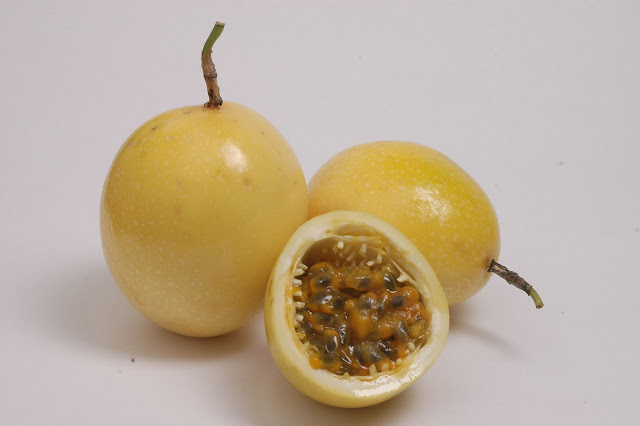 Cosmetics around the world use passion fruit to supposedly do for your outsides what the drink does for your insides. Neither of the two pictures immediately above was taken at False Bluff, but for sure calala has been planted there.